Each room features a 42in. Plasma TV with DVD and Computer to TV hook-up, a BOSE music system and wireless internet capability. 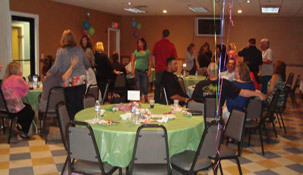 These spacious rooms are perfect for receptions, corporate events, business meetings or seminars. 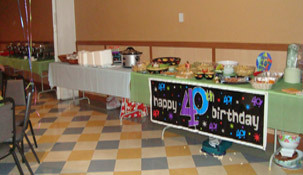 Food may be brought in by you or we offer a Full Catering menu available at Tony G's (connected to Leo's Super Bowl!!) Click to view menu. Beverages must be supplied by Leo's Super Bowl.